Young was an American actor who was famous for his Shakespeare roles and lecture on Shakespeare’s works and characters. He appeared in over 30 films from 1909 onward. The NYPL indicates that he was an avid collector of theatrical photographs and perhaps postcards. If you have anymore leads, contact us and let us know! Here is some valuable information from the New York Public Library. Thanks, Laura Pokalsky, for finding this! 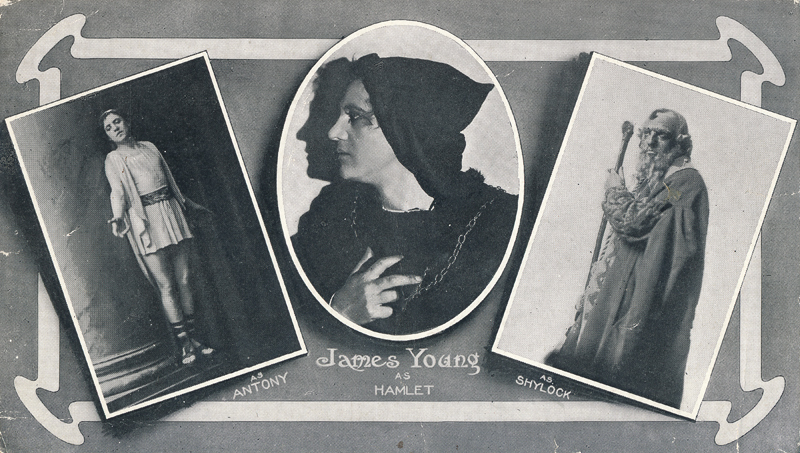 Here is a video clip of Young in an early silent film of Twelfth Night.